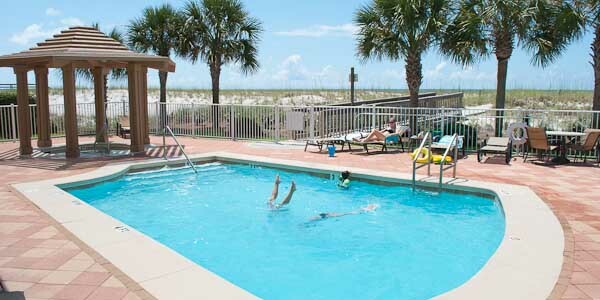 Built in 2001, Club Cabana sits on the serene beach at Perdido Key with Orange Beach, Alabama two miles to the west and Pensacola, Florida 20 miles to the east. This low-density gated condo complex has only 12 total units, which allows for a higher level of privacy and security than in larger complexes. These four-bedroom units with three baths are approximately 2,300 square feet in size with huge, wrap-around balconies providing spectacular views. 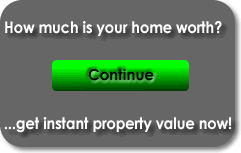 Average prices are around $550,000. The condos have many upgrades such as granite counter tops, floor to ceiling glass, crown molding, marble tiled flooring, wet bars in dining rooms and much more. Each unit has an assigned covered parking space. Cabana Club amenities include a common lobby, meeting room, exercise room, steam room/sauna, hot tub and breathtaking gulf-front swimming pool. Owners have a small private clubhouse as well. There is no time to be bored on Perdido Key, more than half of the island is state and federal park lands, wildlife habitats, and wetlands. Four golf courses delight avid golfers, including a course designed by famed golfer Arnold Palmer. The finest seafood, beach bars, and entertainment are just a short walk down the street. Dolphin cruises and charter fishing boats go out every day. If you run out of things to do in the neighborhood, Pensacola has all the shopping and dining you could ever want. Whether you want to unwind and reconnect with friends and family in your vacation hideaway, retire and become a permanent beach bum, or invest in a little beach front property, you will want to check this resort out. 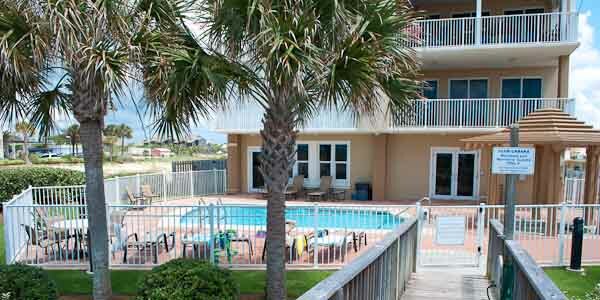 Call us today and let a Realtor show you the exclusive condos for sale at Club Cabana on Perdido Key.